Customers can touch and feel the quality of the products, try them on to understand their best fit and buy their products from the store or online and get it delivered at their doorstep. 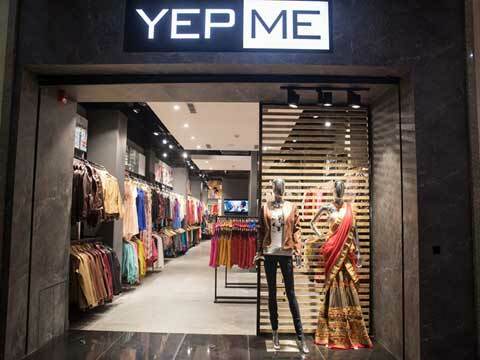 Gurgaon –based online shopping company, Yepme.com has recently opened its first ever brick-and-mortar store at DT City Centre Mall in Gurgaon. The newly launched store aims to develop a connection between its customers and the retail brand. Customers can touch and feel the quality of the products, try them on to understand their best fit and buy their products from the store or online and get it delivered at their doorstep. The store has the same price line as that of the website. With its brick-and-mortar store, the company aims to gain an advantage over other online retailers and increase its credibility as a fresh fashion brand. “They can also try their best fit to make an intelligent purchase online or at the store. We are excited to see the response at the store and take customer interaction to the next level,” he added. Launched in August 2011, the online retailer has built its business around Fresh Fashion Model and claims it to be at par with leading global peers. The model operates by keeping the online store exciting and fresh with Fresh Fashion merchandise showcased daily and is planning to do the same in its physical stores as well.